On Wednesday, August 1, 2018, LAB will present developmental works from our Artist Peer Circle program for visual artists. 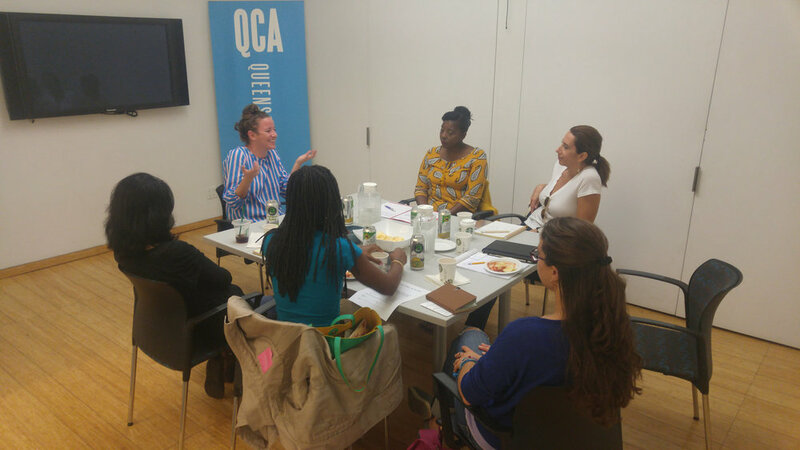 Through QCA’s peer circle programs artists of all disciplines meet in a small group once a month for nine months to provide one another a support system that benefits their professional development. Led by 2017 ArtHotel Artist-in-Residence and former peer circle participant Erin Treacy, the visual artist peer circle participants included Susan Varo, Fina Yeung, Damali Abrams, Viviane Aquino, and Paula Frisch. They each shared how the Artist Peer Circle program has benefitted their artistic endeavors.